I was the only one in this community with a heartbeat. Manicured avenues of ornate marble houses replicate and stretch towards the edge of a hill that overlooks Vasco de Gama’s bridge. In between the neat rows, organised trees stand somberly over the silence. How many people surrounded me? Hundreds? Maybe even thousands, but the silence remained. I’d watched documentaries on the way different cultures around the world deal with saying goodbye to loved ones. An image imprinted firmly in my mind was the South American cemeteries for the rich, famous and equally infamous. Where politicians, authors and drugs barons lay in death, surrounded by as much wealth as they were in life. 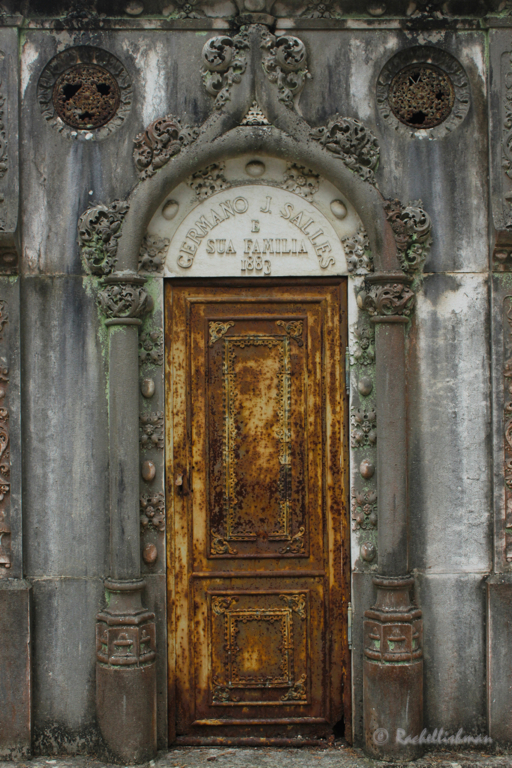 In the strangely named Cemetery of Pleasures on the western edge of Lisbon, where actors, singers and artists are laid to rest, I was experiencing these types of mausoleum for the first time. As an atheist I don’t really spend much time thinking about death. Personally, it’s somewhat of a mute point. What’s to be considered in an event that is for me, an inevitable finality? However, as I peered through dusty glass at stacked coffins with a morbid and almost guilt inducing curiosity, I certainly started pondering. Here, death was unavoidable. My surroundings posed more questions than they answered: How much does this land cost? What happens when the homes become full? And probably most sobering of all: what happens to the casks if payments aren’t met? 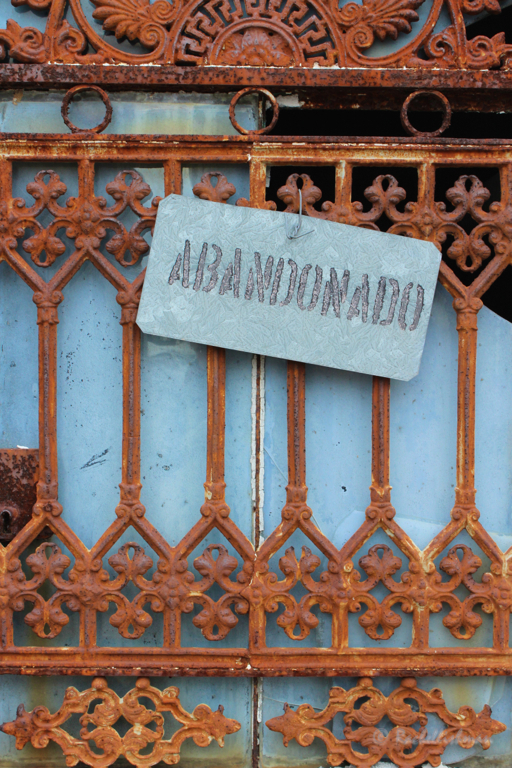 I began to notice ominous placards hanging on some doorways: “abandonado”. Was this it? Would anyone come to collect the deceased or would the tomb simply fall into ruin? Although spiritual peace and tranquility were intentionally paramount here, it seemed to me that there was an undertone of something far more tangible. The city just outside the gates was mimicked here in a magnified form. I wondered whether the stresses that sit on our shoulders during life, had somehow followed the dead here; the financial stress of rental agreements, the systems of class that society adopts and even a sense of having to ‘keep up with the Jones’. Each petit plot seemed locked in competition with those around it. 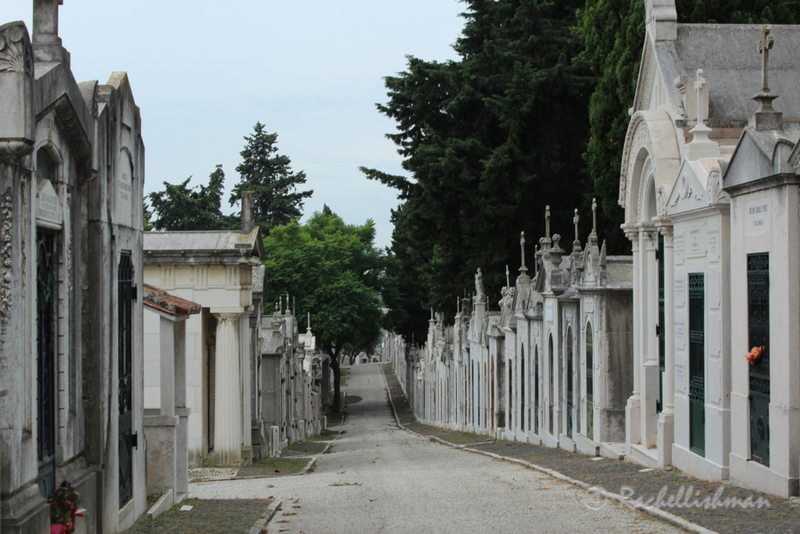 My visit to the Cemetery of Pleasures was a thoughtful pause only a few tram stops away from the bustling city center. It hadn’t provided any answers for me, but it had served a purpose. You don’t need to believe in an afterlife to be touched by a place like this. Despite my skepticism, these tombs prompted questions in me that are entirely necessary, regardless of where we believe those endless crowds now lie. Some plots are ‘abandoned’. It’s unclear whether this is because no family members remain, or payments for maintenance have stopped. Interesting perspective, Rachel on cemeteries. I expect tradition, culture and indeed money plays into all of it. 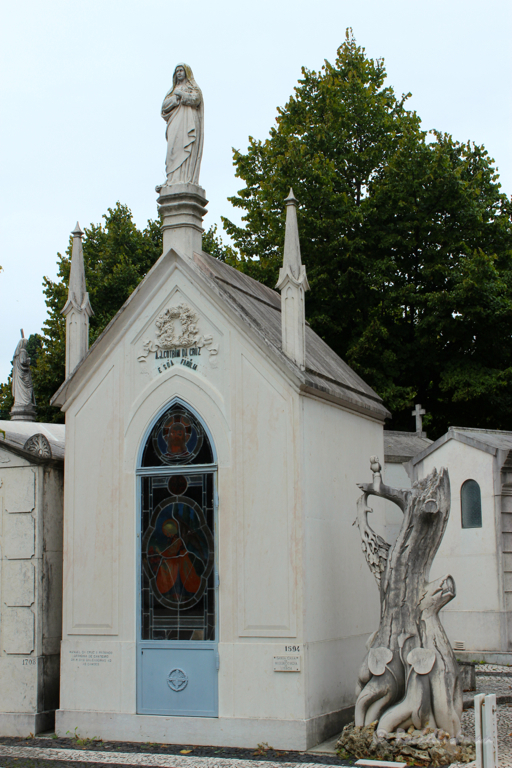 I visited Pere Lechaise Cemetery in Paris which looks similar in style, dating back to Napoleon.